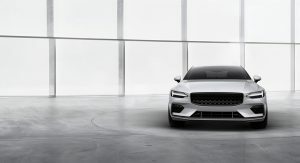 Polestar introduced the stunning 1 coupe last October and now the company has revealed some new details about its upcoming 2 which will battle the Tesla Model 3. Speaking with Roadshow, Polestar CEO Thomas Ingenlath said the upcoming 2 will be built on Volvo’s Compact Modular Architecture (CMA) which underpins the XC40 and Lynk & Co 01. 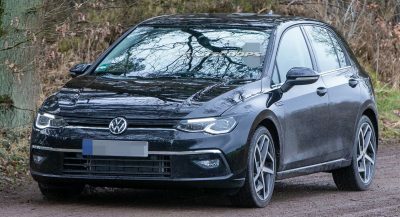 The model will debut in mid-2019 which coincides with the launch of the 1. 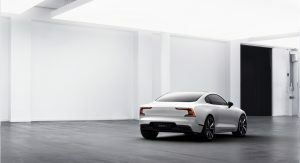 A few years later, Polestar will introduce the 3 and Ingenlath confirmed it will ride on the “electric architecture of SPA 2.” The executive went on to say the 3 will be the first vehicle to bring the platform to market. Polestar has already confirmed the 3 will be a “larger SUV-style BEV” which will slot between the 1 and 2 in terms of pricing and volume. We’ll get a better idea of that separation once the Polestar 1 is launched. The car is based on the SPA platform and has a 2.0-liter four-cylinder engine as well as two electric motors that power the rear wheels. This setup enables the model to produce a combined output of 600 hp (447 kW) and 737 lb-ft (1,000 Nm) of torque. Why don’t they just offer this as a modern-day P1800, throw an inline 6 (or 5!) into it and sell for $45K+ Why?????? Because Polestar and Volvo are separate; despite Polestar using a Volvo concept as it’s first car. Because a Polestar is a Polestar and a Volvo is a Volvo. They are 2 separate entities. Like Mercedes and AMG are separate entities while being basically the same? I just can’t see their logic here especially after using a Volvo concept for their first model. Makes zero sense to me. 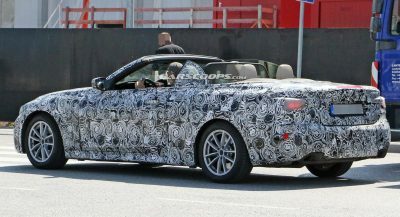 Here is a sales success waiting to happen by being a great challenger to the 4-series and A5 yet they are tossing it aside in hopes people will send Tesla money on a coupe that doesn’t say Tesla on it. Adilos, you are right on the money about this coupe. It is a no brainer really, especially since the 3 Germans are basically unchallenged. It’s all in how it’s marketed, and Volvo proper wants to have the world know that the above is a Polestar. 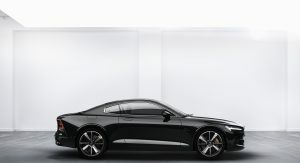 With that established, the Polestar 1 can command whatever the market will bear; even higher that $45K (why immediately knee-cap themselves right out of the gate with a low priced product?). Because you think logically sir. Polestar will still never sell as many vehicles as Volvo would have sold with a 45k car or a 65k car. Volvo is essentially being greedy and the only reason they are charging so much for the Polestar is because of the electric drivetrain because like people said the design in itself is not worth the 100k but it could have sold more at a more reasonable 50k price range. Until the day I die I say Polestar was a missed opportunity for Volvo. Well technically AMG and Mercedes are different, AMG has their own manufacturing and research facility. But I understand what you mean. 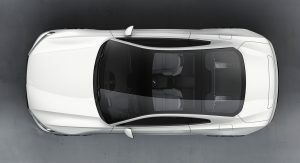 Strategically they want to create a new electric only brand and to differentiate it from Volvo, while Volvo would do traditional and hybrid models, the electric would be exclusively Volvo. And honest reason is simply no one wants $130k Volvo, So by making it newer model, they create sense of exclusivity. One of the Polestar executives admit that the board thought the price wouldn’t be reasonable if it’s badged as Volvo. 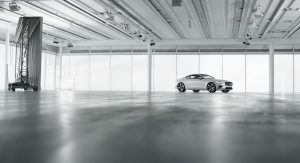 But yeah Polestar 1 is direct descendant of Volvo Coupe Concept we saw few years ago. Size-wise and panche it doe not hold a candle to the S class and upcoming 8 series. 4 series/A5 is the right idea and in today’s car market this would easily sell for $52k all the way up to $64k for a T8 a la XC90 top range. It was stated on their social media that the price estimate for comparative purposes would be 130k to 150k Euros. That definitely goes into the larger coupes price wise. Ah yes, I forgot about that. Reminds me they are off their rocker in understanding the market. Honestly I see this as a modern-day P1800, but I’d love to see another rendition of it. So beautiful, I do believe that polestar and Volvo should merge or something. Polestar and Volvo were once under the same umbrella. 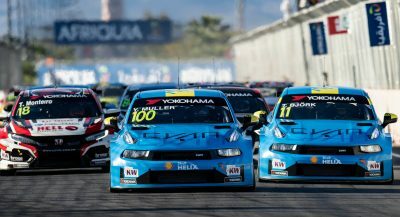 Yeah, originally Polestar is just a racing team, later they become official Volvo team, then they become Volvo official tuner and then well Geely needs a new name for their electric car and now we got Polestar. Speaking of Tesla, there is now a cherry red 2008 Roadster floating in space as I am typing this, blaring David Bowie, with “Hitchhikers’ Guide To The Galaxy” in its glovebox. I hope it avoids all of the space debris and micro-meteoroids. Did Polestar learn nothing from the Cadillac ELR?